Wind power is increasingly becoming popular, but is yet to become mainstream due to its high cost factor. The non-uniformity in wind speed requires a wind turbine that can withstand the worst gusts which makes it much heavier than what is needed for 99% of the use. While most turbines can change the angle of the blades in very strong winds to avoid damage, the capability of the turbine can be insufficient to save damage from a quick gust. A trailing edge flap if added to the wind turbine blade greatly helps alter the amount of lift that is being produced and thus the forces on the structure. The flapping wind turbine market holds growth potential owing to the advantages that flapping wind turbines offer. The light weight of the flap not only enables quick activation that needed for whole blade, but can also adapt to individual gusts without using huge amount of energy. Thus wind turbines can be built lighter and at much less cost. A flapping wind turbine also solves problems of noise pollution and risk to birds that are associated with conventional wind turbines. The design of flapping wind turbine generates less power than what is generated by a wind turbine of same size, but it provides other advantages that make them viable for economic reasons. Flapping wind turbines have less chances of being damaged in high wind scenarios. They can be installed in dense urban areas or can be installed tightly in a large wind farm for maximizing output. With depleting natural energy resources, it has become imperative to invest and develop other sources and technologies to meet the increasing need raised by rapidly increasing population across the world. The concept of wind turbine has been quite useful in the past decade but besides the requirement for vast landscapes wherein wind blows consistently at its full mighty, noise produced by the turbines has restricted its widespread installations. This issue is swiftly solved by the concept of flapping wind turbines, of which the latest form of biomimicry has been developed by a company called Tyer Wind. Flapping wind turbines use only two spinning blades instead of three, coping the graceful motion of the hummingbird, who are rated among the nature’s most skilled flyers. This concept also solves the issues pertaining to space required for a traditional wind turbine. Owing to these glaring benefits of flapping wind turbine, the global market for the same is projected to expand at a robust growth rate during the forecast period of 2016 to 2024, though it currently is in development stage. This report on the global flapping wind turbine market studies the concept and aggregates the latest developments, including the investments made by prominent companies. 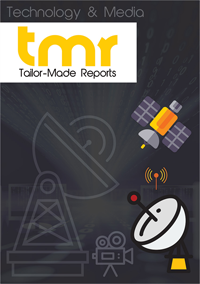 The report also delves into the factors that are expected to influence the growth of this nascent market and estimates their eventual impact. This report aims to provide the essential information that the buyers need to base their business decisions on. Consistently increasing need for energy is the primary driver of this market. Moreover, with apparent issues pertaining to pollution, added emphasis has been given to the cleaner energy. Wind turbine produced power ideally serves this need too, and hence is expected to gain subsidies from the governments in developed and developing countries. Another advantage of flapping wind turbine over traditional wind turbine, besides being quieter, is that they are less prone to damages and pose considerably less threats to birds. This factors is also expected to lure the investors to develop the technology of flapping wind turbines and thereby increment the demand. Conversely, as this concept is still in development stage and the creators are currently testing the prototypes in real world conditions, high price of flapping wind turbine is expected to marginally hinder the growth rate over the course of the forecast period. The company, Tyer Wind, hails from North African country of Tunisia, with Hassine Labaied as the partner and co-founder. However, the cost factors are expected to pass-on and further develop the concept in financially and technologically equipped countries such as the U.S., France, Germany, the U.K., and Russia. Tyer Wind has been able to develop this concept in association with Saphon Energy. Currently, only these two companies are functional in global flapping wind turbine market, although several other prominent technology and energy vendors are expected to catch this developing trend of flapping wind turbines and meet the ever escalating energy demands.